First in-first served sites: $12 per adult per night. $6 per child per night (5-15 years), children under 5 free. Fees can be paid to the onsite contract fee collector. Pre-booked sites: Rates and availability are displayed when making an online booking. A minimum nightly rate applies which includes the first 2 occupants. A small number of sites are reserved for pre-booking. Book the reserved sites online or call 1300 072 757. Different camping rates apply. 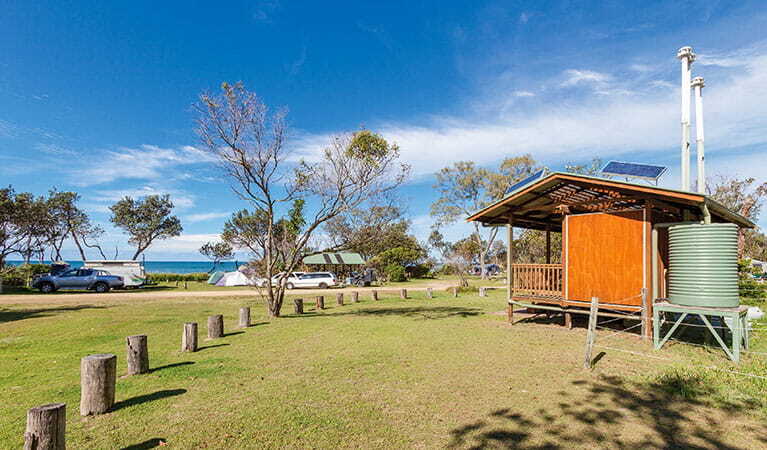 The spacious Illaroo campground is split in two parts – north and south – and offers 60 campsites just a hop, skip and a jump from the beach. 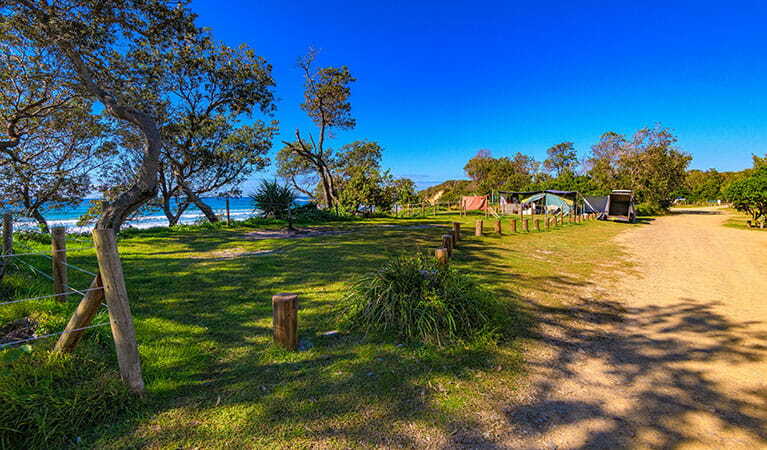 Arrive early to nab a shady caravan site overlooking the Pacific Ocean and coastline. 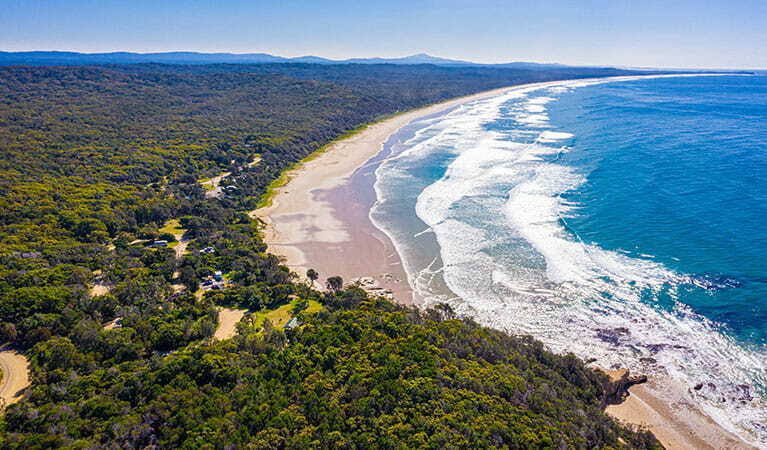 Lovely walks, including the Angophora Grove walk, are nearby and the beach offers an endless array of options – from fishing to swimming to snorkelling. If you’re into canoeing try the nearby and stunning Wooli River and fishing boats can be launched from Minnie Water. 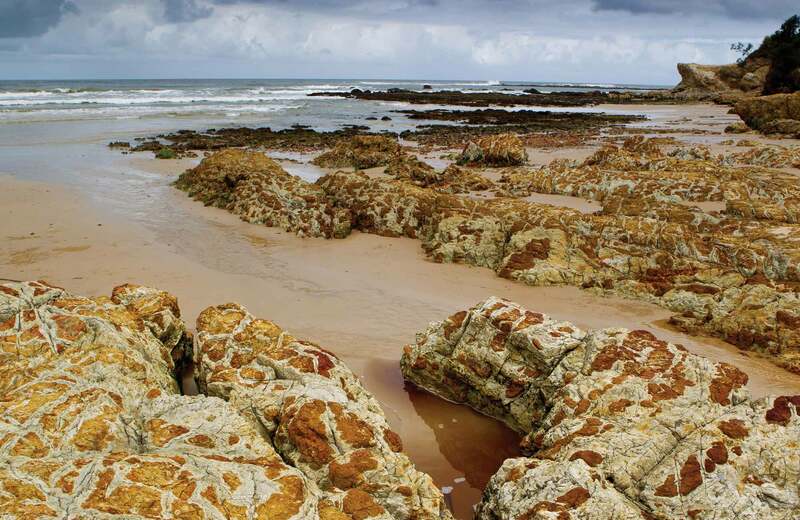 In fact, it’s almost too easy to while away your days in this idyllic spot – you’ll never want to leave. Wooli and Grafton are easily accessible if you find you need supplies while camping in this remote area. 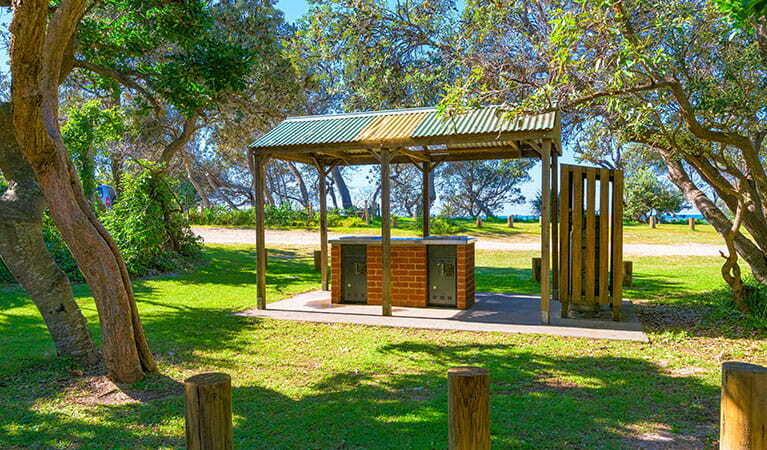 If you’re thinking of camping with a group, be sure to visit the Illaroo group camping area.